My father was originally in Company K but became a medic. Unfortunately, he passed away 9/24/07. I am also like you, looking for anyone that may have known him. Please ask your grandpa if he knew a medic named Vane Thomas. God Bless you for your research and God Bless our Veterans! I will do that. I know in the past, he only remembered a man named Jack Coleman and after over 60 years of losing touch, I got them back in contact last Sep. Unfortunately Jack passed away this summer, but they had some great conversations. It may ring a bell if I mention your father’s name. Hopefully it will spark a pleasant memory and we’ll both know a little more about their history. My father was David P. K. Shew of the 63rd co.L. In approx 1995 he received a bronze star in the U.S mail, I didn’t see what is was for. anyone out their know anything on this. 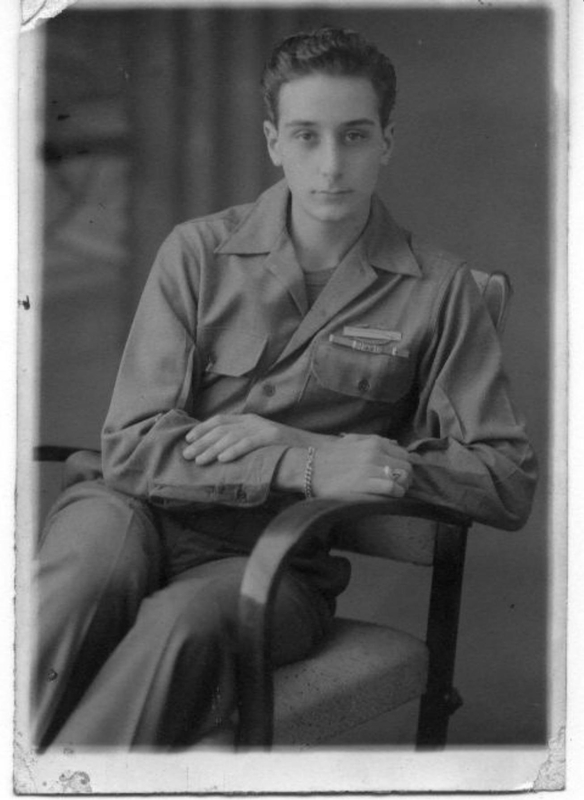 He was in the Army in 1944 to 1946, luzon and Korea. My father also passed away in 1996, he did talk of a man Lymond Shorb, said they went thru alot togeather. 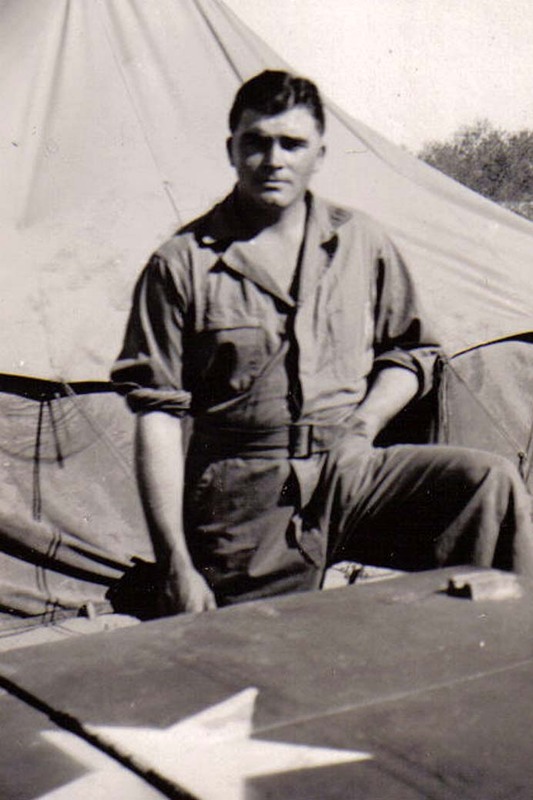 My father, George F. Brunkalla, left Camp Roberts California, as 88th Inf Btln, 20th Inf Regiment, but was made part of the Chemical Warfare Service as he embarked for Sydney, Australia, 6/4/43. 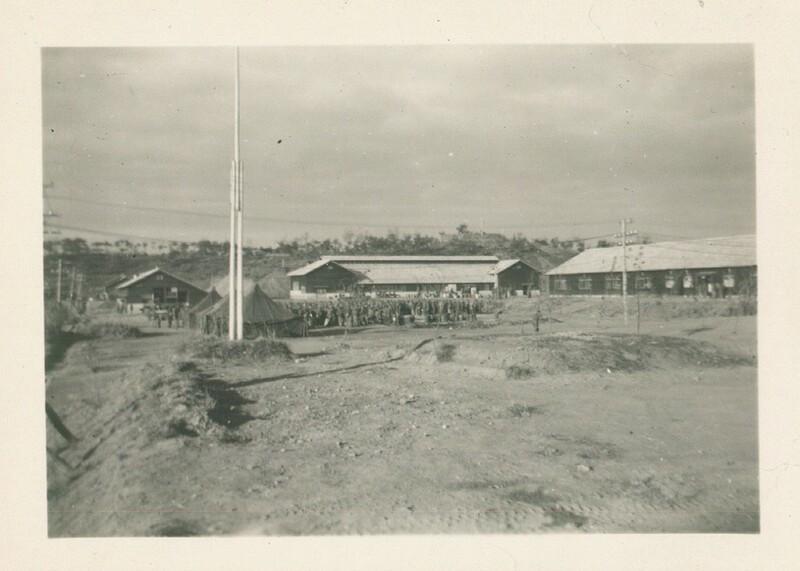 His specific designation while in Milne Bay, and Luzon, was 93rd Chemical Composite Company. He worked in a portable machine shop, repairing and water-proofing flamethrowers as a T5 Corporal. When he departed Luzon for home, he was transferred to the Battery C, 250th AAA Searchlight Battalion. He is alive and well at 89, living outside of Chicago. My father was a sergeant in the 6th Infantry. He did his basic training at Camp Roberts. He served as a Combat Medic in New Guinea, Sansapor and other places. He is 88 and living in Lafayette, Colorado. He seldom talked about the war when I was growing up…At times now, he does talk about the war, with amazing clarity. I would like to hear from others who might have known him and/or served with him. My father’s name is John Robert Leong from California (at the time he entered the service. I’m glad to hear your father is still alive and now starting to be able to talk about the war. My father, Vane Thomas was also a medic in the 20th infantry. He passed away 9/24/07. He would have been 91 now. I was wondering if your father new him. I believe mine was also at Camp Roberts. I sent pictures to Thomas Price for posting on this website but I understand he’s had trouble uploading them. Hopefully it will be done soon and your dad can see my dad’s pictures. My father, Lt.Earl Durnil was the leader of company E during the assault in the Philippines. I have an article describing some heavy fighting when they were ambushed behind enemy lines. Some pretty heroic stuff. His sergeant at the time, Donald Rudolf went on to win the medal of honor a day or so after dad was shot pretty badly. I’m certain your dad would have known him. Dad passed away in 2005, he was 86. I suggest sending a copy of that article to Thomas Price, the owner of this website. Hopefully, he will have the sites uploading issues solved soon and we can all see it. If you can, please send a copy of the article to Thomas Price, owner of this website. Hopefully, he can get his upload issues resolved and we can all read it. This is very hard to believe, but I was watching the new footage of the Sixth and I found my father, he was walking through the water in the jungles of New Guinea. Thank you so much for posting this. It was truly a gift and so ncredible to see my Dad at 24 years old! Do you know of anyway I can obtain a copy of this on DVD so that future generations will be able to see him. I am gratified to hear that you found your father on the link to the video footage! The original video is from the national archives. You may have to do some searching on the internet. It is now difficult to find, but here is a free link to it on hulu. To all 6th ID vets. I wanted to tell you that the FT Wainwright, Alaska Range Complex is being dedicated to MOH Donald Rudolph (Mr Rudolph recieved his MOH for his actions at Luzon, Philippines Feb 1945. 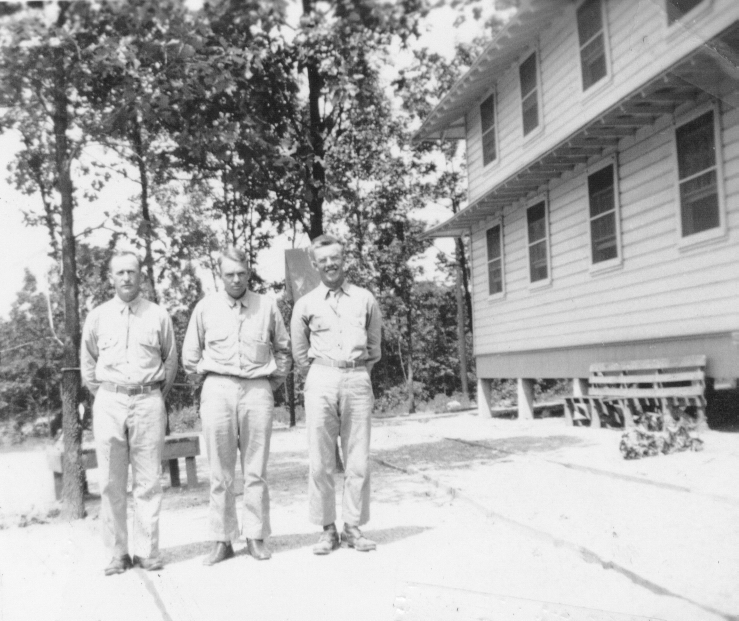 Mr Rudolph was a member of Company E 20th Infantry. I was a member of the 6th ID in the 1990’s and now a retired MSG. I just wanted to share this information with all. I will post pictures of the monument and ceremony soon. 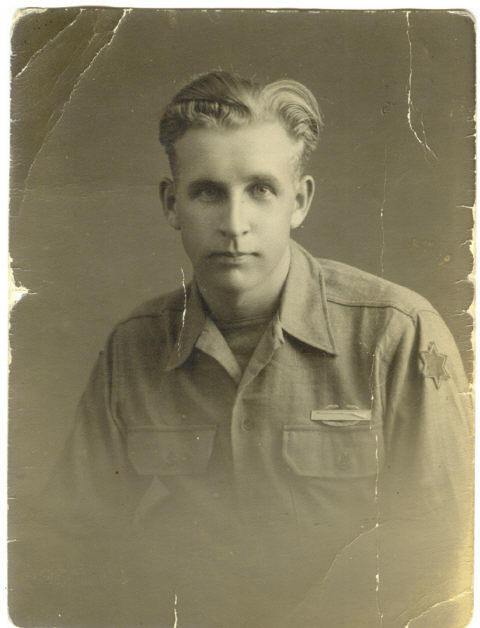 I am looking for information about my father, F. Robert Maxwell who served with the 6th army, army air corps. He was a corporal and served as an engine mechanic. He died 2/8/85 but I have recently learned that he earned 2 bronze stars. Am looking for anyone who may have known him. I can only imagine how hard this must have been for our men and women who served in the South Pacific. My father would never talk about his years in the service. Please contact Barbara Maxwell at Tubajew@aol.com. Thank you. Mr Skupin. After reading your post, I was wondering if you ever received the DVD you were looking for. I may be able to help. I am planning to travel to New Guinea (the Indonesian half of the island) in Jan. 2013. 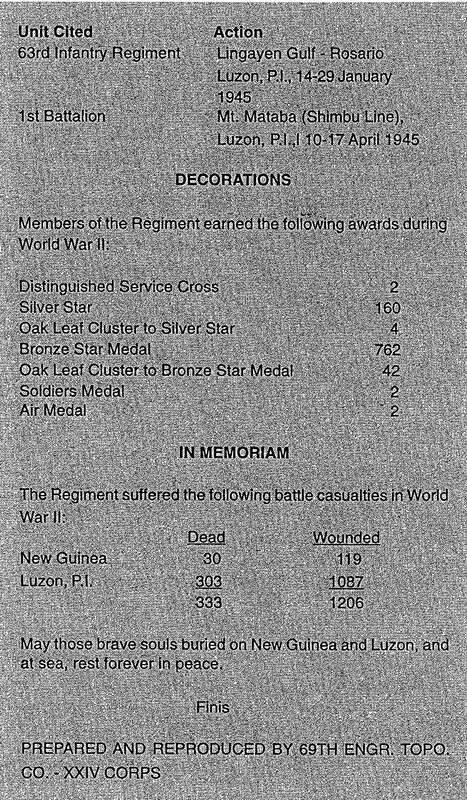 My father served there in the 1st regiment (Co C) and in the Philippines. I was wondering if anyone knows where individual units of the 1st would have been and if anyone would be interested in photos of those locations now. If you take some interesting pictures that would be outstanding!. Kevin, did you go to New Guinea? 1st. Sgt. John W Mangione 1st. Field Artillery Battery B…the last known person he served with was Jack Miller who also has also passed away. 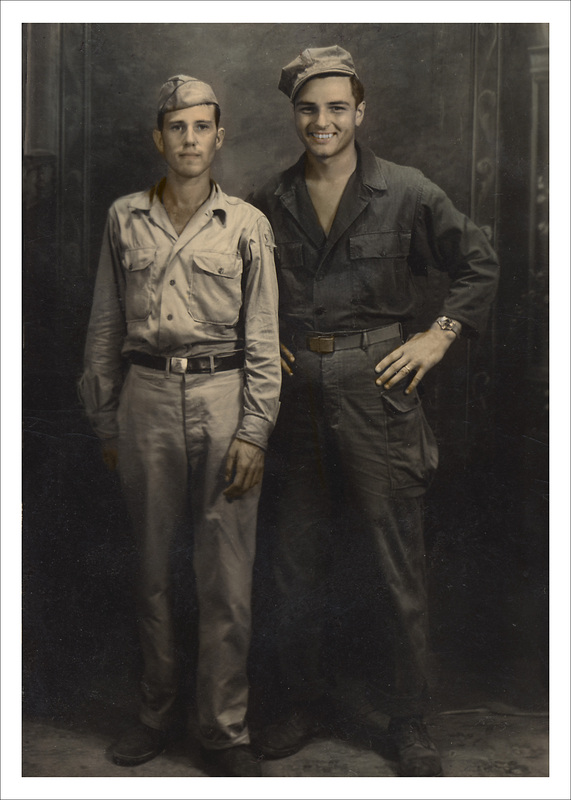 They served in New Guinea and the Philippines with occupation duty in Korea. I remember him naming all his Battery even in his last days could recall every member of hid gun battery. One name was Schoder who lived in Washington State and went on the serve in the CIA I believe. He had sent me tyne invasion plans for the 6th if they had invaded Japan. I know it is a long shot but thought I would keep in touch in case any vets or family.. So glad to hear they are again honoring Donald Rudolph again. My father, Lt. Earl Durnil was his company commander (E). Dad was in contact with him throughout the years and corroborated with us on the whereabouts where Dad was shot in the Cabarruin Hills in the Philippines. I tried to organize an expedition when I too was stationed in the PI but my jeepny driver vanished into thin air. my dad served in luzon and new guinea. he served in the pacicic theater from 1943 to 1945. Krystal, my Dad, who passed away in 2013, was 2LT Murven J. Witherel of 1st Platoon, E Co, until he was seriously wounded at Lone Tree Hill in 1944. He spoke highly of his unit and he and my Mom (92 and living at his home in Pittsburgh) attended many 6ID reunions over the years. BTW, Congress authorized in 1947 the awarding of the Bronze Star to WWII recipients of the CIB. Take care. I was curious if anyone knew my Uncle, Lawrence Bunten. He never spoke of WWII and would always change the subject if anyone brought it up. I’m pretty sure he was in the 20th Infantry, 6th Division, Company E. He was from Bowling Green MO and passed away 9-2-1998. His service has always been a mystery to me and my family. Thank you for any information you can provide! Hello Michael. Just got back into this site. My dad was Lt. Earl Durnil, company commander of company E. I posted something about him a few years ago. You can scroll to view it. I have a few photos in a scrapbook that have some names. I’ll take a look, who knows? I would love to learn more about my uncle who served in the 20th Infantry, 6th Division. He was killed in New Guinea on June 20, 1944. His name was Quentin Huston from Arkansas. My mother was only 9 when he died so she doesn’t know much about his service. I have his purple heart and cherish it! Thank you for any information and all my appreciation for those who served! The best I can do is point you in the right direction. We are unpaid volunteers and most of what we have on the site (in fact 99% of it) is what we have learned from people like you. So, I would encourage you to do your research, and start here with the website. Then please share what you find with us. I would suggest that you examine the website carefully, including the two books available on the site: (1) “The 6th Infantry Division in WW II” in which you can read what was happening with the units of the Division in chronological sequence. Your uncle was likely killed during the Battle for Lone Tree Hill, which is described in that book; and (2) The “Pictorial Review of the 6th Infantry Division, 1941. The second book is organized by unit and it is possible that you might find your Uncle in that book. There are roughly 15,000+ soldiers in a Division. If you had his discharge papers, you might be able to learn more about where he was precisely located. Knowing the company in which he served is usually very helpful. Good luck in your quest and keep in touch. Thank you SO much! That is very interesting. I told my mom about it and she had not seen that report. She remembers being notified of his death via telegraph on July 4, 1944. Communications were very slow back then. I appreciate you getting this to me! Thank you, Thomas! He was in company K. I have found his picture, so that is a start! You are right, there is a LOT of information here and I have just touched the surface. I appreciate all of your time in organizing this. I will keep you posted as to anything I find. 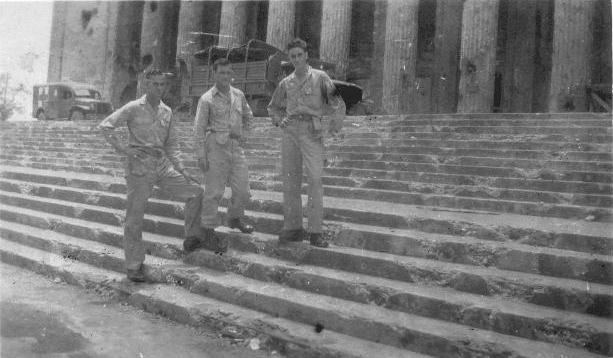 My father-in-law, Staff Sergeant Harold Pettys, was in Company E during New Guinea and the Philippines. He caught some shrapnel in his hand trying to lead the capture of a hill. It took him out of the war. He received a Purple Heart and a Bronze Star. I always had great respect for him. He was buried with military honors. In fact, an unknown Viet Nam War vet attended the funeral in the church and, as a pallbearer, I noticed the vet saluting the flag-draped coffin. He didn’t stick around for me to talk with him, but I was really impressed by his respect. My dad passed away in 1995. He didn’t talk about his service. Recently I was reading his discharge papers. He was 20th Infantry 6 Division Co A, Sykes Regulars. It states he returned to the USA late August 1945. 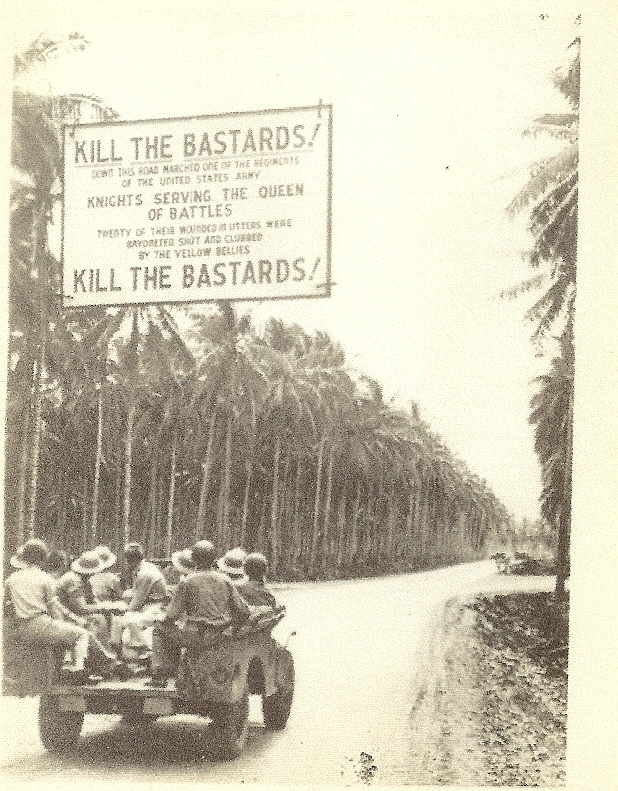 I read on Google that the 20th Infantry 6 Division was in Luzon but no information about which company’s were there. Does anyone know if CO A was in Luzon the summer of 1945? The 20th Regiment is one of three infantry regiments in the 6th Infantry Division; 1st IR, 20th IR and the 63rd IR. Each regiment contained three battalions. Each of those battalions had an A Company. 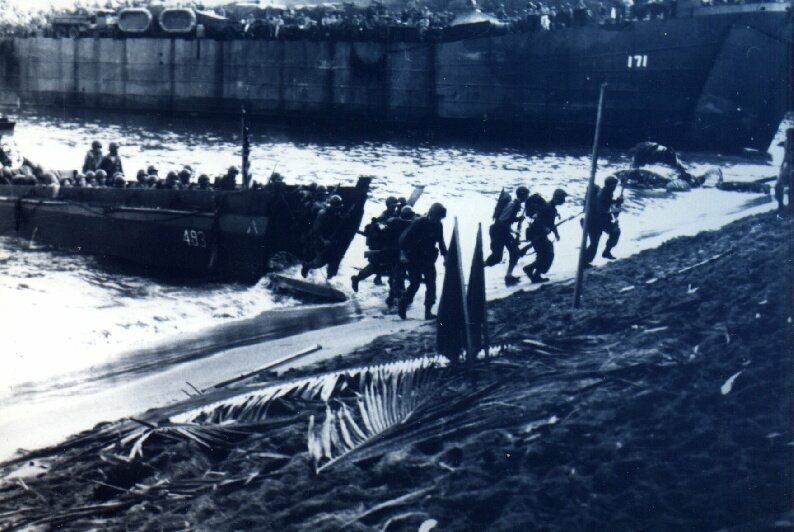 The entire 6th Infantry Division was in Luzon, landing on Jan 9, 1945. VJ Day was Aug 15, 1945.